You are here: Home / Children / FAQ: My spouse and I get along just fine. Can’t we skip the co-parenting plan? FAQ: My spouse and I get along just fine. Can’t we skip the co-parenting plan? Not every divorce is an all-out brawl. In my practice, I have seen plenty of couples where Husband and Wife are able to put their differences aside, have civilized conversations about their separation, and show willingness to work together to create an outcome that everyone can live with. Can that be a recipe for disaster? Yes, if the couple decides to skip important steps in the divorce process. One of those steps is the creation of a co-parenting plan. I sometimes hear Husband and Wife make the argument that they get along well enough to just work out the child care arrangements without enlisting professional help or getting it all documented. Some are driven by a desire to save money on professional fees. Others genuinely believe that they can create a better result on their own. In reality, both of those motivations are misguided. A good co-parenting plan takes more than an afternoon around a table and a dash of goodwill. No matter what age the kids are, providing for their well-being through high school graduation and beyond requires considerable logistics. You must consider each of the following points to start. Where will the kids live? If the parents will split their time with the kids, what will be the schedule? Which will be the primary home to be used for school enrollment? How will the parents make decisions regarding the children’s schedule during school vacations? What is the process for making medical and travel decisions for the kids? What about choosing (and paying for) after-school activities? What is the process for resolving disputes in the event one parent wants to take the kids to Italy for Spring Break (or get them enrolled in football) and the other parent is against it? How will the couple handle holidays and birthdays? Whose responsibility will it be to purchase clothes, and how will the couple determine the appropriate amount to spend? What about gifts for friends’ birthday parties? In the event family worship is important, will the parents worship together with the child, or is another set of arrangements necessary? In the case of a step-family separation, what is the plan for ongoing contact with the step-parent? Who will determine and implement discipline consequences for the kids who break the rules? Is the biological parent the only one allowed to discipline the child, or will a future step-parent be allowed to do so? As you can see, the list of questions to consider is lengthy and varied based on the circumstances of each family. While Husband and Wife might get through the initial process without professional help, chances are they won’t be happy in the end. My recommendation is to get a collaborative team involved when it comes to the co-parenting plan, even if the couple gets along well. 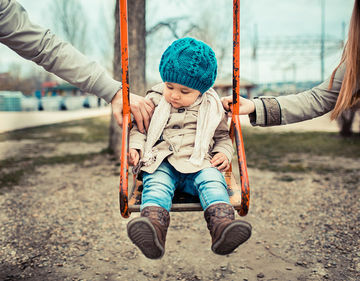 Every decision made during the divorce will affect the couple’s ability to co-parent effectively, and most people simply don’t have the experience and the knowledge to set this up well on their own. If you are unsure where to begin, reach out to the Brazos Valley Collaborative Divorce Alliance. Our attorneys, financial planners, and communication coaches will connect you with the right professionals to create the best long-term outcomes for your family.